A Better You is a specialised Naturopathic clinic in Arana Hills, Brisbane - with a strong emphasis on Kinesiology. Our focus is to get you WELL and keep you at OPTIMUM health. Leanne's Workshop was easy to understand and full of information. I didn't realise how much your hormones can affect your body. Looking forward to my one on one appointment now to see if Leanne is able to help me sort out my issues. Leanne is a caring and experienced naturopath who has supported me for several years. I am now free of a long-term health issue due to a series of Kinesiology treatments which addressed the cause rather than the symptom. We are currently addressing long-term back pain which is starting to resolve. This practice supports my philosophy of being proactive rather than reactive about my health. Before seeing Leanne I was struggling with anxiety and generally feeling low. I had previously taken antidepressants to manage my anxiety. Leanne's recommended health plan has not only helped to manage my anxiety but also to live an antidepressant free life. I feel more empowered to be in tune with my health, body, mind and spirit. The best part of seeing Leanne is building trust between health practitioner and client. Leanne truly aims to listen and then deliver. 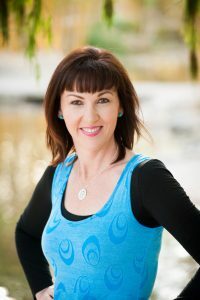 If you are in doubt, see Leanne and discover a unique approach to health, focused on whole wellbeing and long-term management. As a client, I truly valued Leanne's calm and caring approach, truly personable. What My Eating Disorder Taught Me….Decades Later! Ever wondered if your hormones are out of balance? Why Your Thyroid may be responsible for your symptoms even if a blood test says it’s fine. Why Do We Need Sugar So Much? It's a busy week with clients this week, which I love! But because the week days have been really full, I've opened up some slots for this Saturday morning in case you need some TLC before I go on hols next week with the fam. "Weird" breakfasts.....do you have them? I had a conversation with my daughter last night about friend "squabbles" at school. She's in Yr 7 this year and there's a LOT of new territory for her to navigate. We talked about the importance of just being Yourself.....authentically and unapologetically.....and being beautifully and kindly honest, with yourself and with others. Copyright text 2018 by A Better You Naturally.